Underchassis Storage Systems help RVers save space and fit everything they need in their home away from home. Our Underchassis Storage products help you save space and fit everything you need into your home away from home. 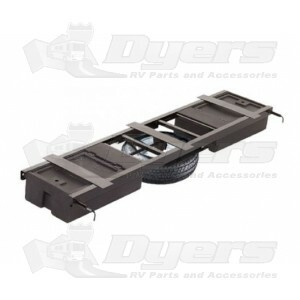 The detachable storage boxes bolt on to the RV chassis (hardware not included) and are perfect for cables, cleaning supplies and other miscellaneous camping items.